Oh, I'm enjoying my Memorial Holiday weekend, for sure. But I'm also really looking forward to next weekend, which is like another holiday weekend at my house... 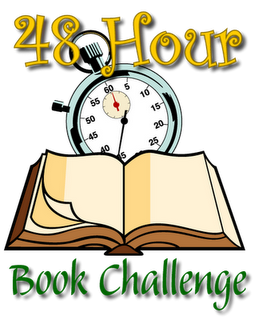 It's the 48-Hour Book Challenge! I'm saving some books I have really been looking forward to. I'm making a list of all the yummy snack foods I want to stock up on. I'm thinking about what my goal will be. And most of all, I'm looking forward to dedicating an entire weekend to reading and to bonding with my blogging community. If that sounds like an awesome weekend to you, head on over to MotherReader and sign up for the challenge! The more people who participate, the more fun it will be!